It may be ugly, but it sure tastes good. 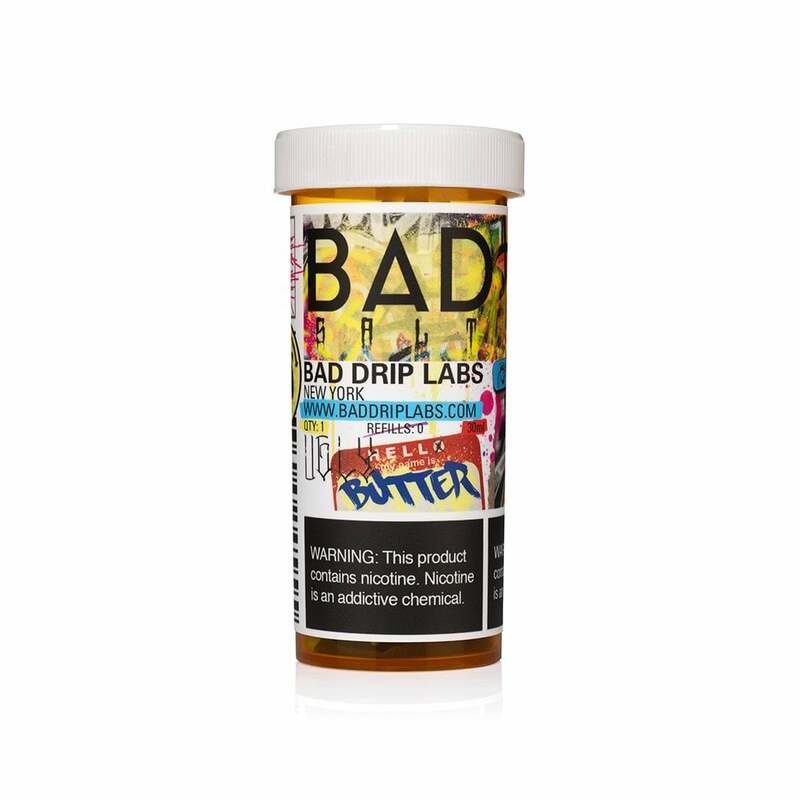 Bad Drip's Bad Salt - Ugly Butter Nic Salt Juice is a nicotine salt rendition of Ugly Butter, a fantastic carnival treat of fried dough topped with a cinnamon banana pudding. The addition of nicotine salts doesn't make Bad Salt - Ugly Butter any prettier but it does make it a smooth vape that's perfect for pod mods. Really good stuff . Not sure how anybody could not like this . DELICIOUS!! Tastes exactly as described! I could not be happier or more pleased with this product. I have gone threw a dozen of these at this point and still my every day juice! The flavors aren’t too strong. Banana is a little weak when vaping. But whenever I try something new I find myself quickly going back to this ! I cant get enough of this juice. The flavor is phenomenal! Great flavor, nice clouds, smooth hit. I would order this again and will be trying some other flavors from Bad Salt. Works great with my Smok Novo. Flavor is nice!! Just as described, but I dont notice much banana, more of the cinnamon and buttery pudding flavor It tastes great in my mi-pod. Not a fan. I like the cinnamon but the buttery taste that goes with it is straight up nasty. No banana flavor in it. This juice is delicious, it’s so good until it made me hungry the first time I vaped it. Definitely a 5 Star rated product. I’ll be buying this very often !!! 18th November 2018 - Richard L. Scott Sr. This is my go to nic salt and vape juice. It taste like warm homemade banana/hint of cinnamon bread with butter on it. The one star review must be using it with a low quality rig. On my Smok Novo it is sublime, I have a Vladdin Re and its sweet in that too. I have a 80w Eleaf I stick 3 it hits smooth on that also. Don't shy away from Bad Ugly Butter 5 stars all day long. Crazy good! Can't believe it! Perfect for fall or cool weather! Not much flavor just a little cinnamon is all i get. it is very light on the flavor. Awesome flavor. It tastes just like as described.